“Left Behind” or “Left Unprepared” for the Coming Persecution? With tens of millions of books, tapes and videos being sold in America and around the world, the “Left Behind” series has convinced multitudes of Christians into believing that they will be raptured away before the time of the “Great Tribulation.” Christians have suffered persecution and martyrdom for nearly two millennia. Today in Muslim countries, under dictatorships, and under communism, untold numbers of men and women are facing jail, torture, and even death for their faith in Christ. But will those who have bought into the pre-tribulation rapture myth be ready for the persecution to come to Christians in our modern-day Western Nations? Steven L. Sherman, author of THE LAST DAYS CALENDAR: Understanding God’s Appointed Times is a “watchman on the wall” who is willing to stand against the tide. He believes that we now live in the day that men no longer put up with sound doctrine. 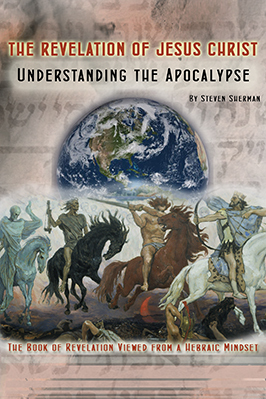 “Instead, to suit their own desires, they have gathered around them a great number of teachers to say what their itching ears want to hear.” Although there may be many who reject the message, Steven Sherman must sound the trumpet and announce that the coming tribulation is ordained by God as a refining fire for His people. The Book of Revelation is a letter to all Christians. It is a call for patient endurance and exhorts the believer to stand firm until the end. Those who have placed their faith in the Messiah can take heart because Jesus has assured his followers of final victory. In order to better understand the Book of Revelation, as well as all the prophetic verses of Scripture, it is necessary to interpret these passages within the context of historic Judaism and with the knowledge of The Festivals of the LORD. 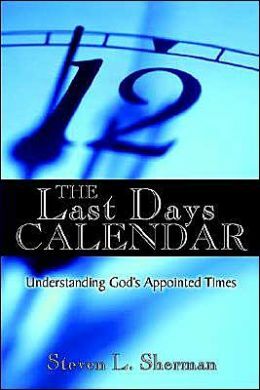 God’s “Appointed Times” for Israel are not just historic ceremonies, but prophetic declarations which encompass both the First Advent and the Second Coming of Christ.THE LAST DAYS CALENDAR: Understanding God’s Appointed Times is a “must” read. To order from the publisher by phone, call: 1 (877) 421-READ. To contact the author for a personal appearance, debate, or prophecy conference email: LDaysCal@aol.com or call (727) 647-6467.